Alley Of Books: Prophecy Launch! We've all been waiting for Prophecy of the Sisters by Michelle Zink to come out. Do you wonder about how long Michelle's had to wait? The writing, the revising, and then revising again. I know for a fact that she revised for 10 months! Phew imagine that! And then the myriad other details of pre-pub and promotion the book has had. I myself receieved a copy of the book when Michelle attended The Teen Author Carnival that I co-hosted with couple of other friends. And let me tell you the minute I startes reading this book I was hooked. There's nothing better than a Gothic supernatural book on a rainy day or any day for that matter. Today we have Vania from ReverieBookReviews who has something to say about Michelle! Here's what Vania has to say. What can I say about a person I admire? What can I say about a friend who’s been there for me through thick and thin? Who always has the perfect advice, the best solution or the sweetest words to make me feel better. I know I am not alone when I say that Michelle has been a great friend to not only me but to many other young kids. I know that it is her passion and love for the young ones that has allowed her to promise to us that she will personally answer each and every email in her inbox. Or that she will be there to give advice to anyone who asks. But knowing Michelle it is also her love of teens that has gotten her here today – her book’s release day. After two some years she can gladly celebrate the release of Prophecy of the Sisters and we are all here to join in. I couldn’t be happier for her and seeing as how her book is not only a great read but also captures the imagination…well she deserves this and more! Michelle, thanks for being there. Words fail me to describe your utter awesomeness, but it is to no surprise that many are well aware of that fact! We love you and we wish you SUPERB release day… no release month! Enjoy it for all the joy it brings! " I absolutely agree with Vania. EVERY word of what she said is true.. I dont know if theres anything I could add. 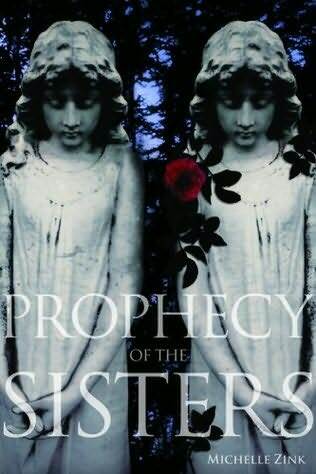 Read Vania's review of Prophecy of the Sisters here. Most of you must already know that Vania is a photographer and a FANTABULOUS one at that. Check out her sister blog Vania's Life Caputre's here. You can order prints here. SHE ALSO MADE THE FANTASTIC BOOK TRAILER.Check out the Prophecy Book Trailer made by Vania here. Look out for more guest posts my Michelle admirers and a contest which will be announced sometime next week! And ofcourse my review of Prophecy! I agree with everything you and Vania said. Michelle is a really awesome person. I haven't met her, but I woould like to. I haven't read Prophecy yet, Im starting it today though. Im sure its an amazing book.